Coverage can be purchased during the first month of school (August 6th - 31st, 2017) with out inspections. If Coverage is purchased after, then the student’s Chromebook and AC Power Adaptor must be inspected by an LUSD I.T. Staff member. If Device is Lost or Stolen a Police Report must be provided to receive the one2one Device Coverage Pricing. After 3 Occurrence the LUSD one2one Coverage is VOIDED and student will be required to pay to the repairs in full. Average Repair Cost is $39.63. Parents may purchase a non-refundable DEVICE COVERAGE for the school year per device. For example, following the chart below, if a Chromebook is damaged (with LUSD one2one Coverage) and requires repair the first occurrence is 100% covered and will not cost you any additional charges. Without coverage the cost can be as much as $328.00. Please note that the more incidents that occur, the higher the fee. All the Chromebooks look the same, so to identify your child's Chromebook they will be tagged with a sticker with the student’s name and student ID number. Additionally, district asset tags with bar codes will be on each device and each device has a serial number. The district keeps all that data, so if a Chromebook is misplaced, we can determine who it is assigned to get it back to the student user. Any ID stickers that are on the Chromebook when issued must stay on the Chromebook. No additional permanent markings of any kind (stickers, engraving, permanent ink pen, tape, etc.) shall be placed on the Chromebook. While the devices are issued to students, they are still district-owned property. Additional permanent markings on the device will be considered vandalism. Students can add non-permanent identifying items to a case such as ribbon, key chains or other removable items. Will the Chromebooks ever leave the building? High school students (grades 9-12) will be allowed to take the Chromebooks home for school-related use. Chromebooks for elementary students (grades K-8) will be kept at school in assigned Chromebook Carts. All students must have both a Chromebook Policy and Authorized Use Policy signed by themselves and a parent before they are issued a Chromebook. Students must also take the Responsibility Assurance Assessment prior to receiving a Chromebook. High school students are expected to charge their Chromebooks nightly at home and bring them to school fully charged. If one is available, students who do not bring a charged Chromebook back to school may be issued a loaner device for the day, which cannot be taken home. Loaners may not be available and your student may be without the Chromebook for the day. They may be able to charge the Chromebook in the library during a study hall. Chromebooks in elementary schools (grades K-8) will be kept in the classrooms and utilize charging stations/ Chromebook Carts. If a student must take their Chromebook to another room, how should they carry it? Chromebooks should never be transported while open as even gentle handling can damage the screen. Chromebooks should be safely closed and placed in their travel case before they are taken from classroom to classroom, or to and from school (high school students only). Where can you get an Internet connection if the building’s wireless connection is not working? The devices will only connect to the web via WiFi. If the district’s WiFi network is down during school, the Chromebooks will not have connectivity to the web. However, some features, such as access to the student’s Google Drive, will still work on a limited basis. The work that is done off-line will not be backed up until a wireless Internet connection is restored. Mountain House High School has public WiFi access for students. Students will each have an email address that is their primary login and username. Students can change their password, but they cannot change their username. The district cannot recover passwords and students should remember them to ensure successful logins. No. Students and staff cannot access a district-owned Chromebook with any other login other than their district-assigned email. For example, students will not be able log in to their personal Gmail account on a district-provided Chromebook. However, if a student logs into another device with their school username (a PC laptop, a school lab computer, a loaner Chromebook, etc.) all of their information (bookmarks, emails, documents, applications, etc.) will be available to them on that device when using a Chrome browser. We do our best to ensure our child’s online experience is safe. Before each Chromebook device connects to the Internet, it must pass through district network firewalls and filters. This happens whether the device is browsing on campus on school-owned networks, or off campus using another WiFi router that is providing the Internet connection. Because of security settings built into the device, it must first route it’s Internet connection back through our district security settings (firewalls and filters) before any website or online resource is accessible. If your child is using the Chromebook at school, at home or at a public library, it will always pass through our web filtering and network firewall system before they can see or access web content. Our web filters are programmed to block inappropriate content as much as possible. While we do our best to stay on top of things, some websites are not blocked or are able to bypass our filters. Teachers and parents are encouraged to randomly check the browsing history of student Chromebooks on a regular basis. Browsing histories cannot be deleted by the students. 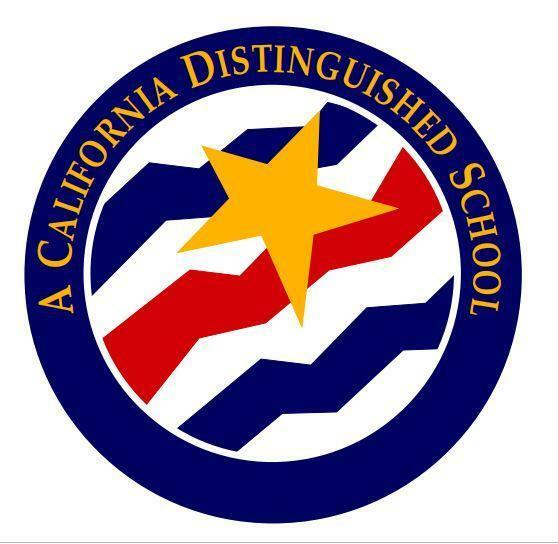 The district will also conduct random checks of student browsing histories. If you discover any inappropriate web activity, please contact your child’s teacher, building principal or associate principal. Inappropriate web browsing is a violation of the district Authorized Use Policy and may result in disciplinary action. Students and parents will be responsible for district-owned technology property that is issued to them, just as they are for other district-owned items such as text books, calculators, cameras, athletics equipment or library books. The district will repair or replace the device, but students and parents will be responsible for the cost of those repairs or replaced devices. *The standard warranty on the device is two years for manufacturing defects only and does not cover normal use wear-and-tear. In such cases, circumstances will be investigated on a case-by-case basis. School administration and the School Resource Officer may be involved if it is suspected to be an intentional act or act of vandalism. How would you go about repairing a laptop that is not functioning? Damaged or non-functioning devices should be turned in to the IT Department RM A132 (high school) so a repair can be started. District technology staff members can repair many problems in-house, which may take up to two business days. Other problems may require the devices being sent out for repair, which can take a several days or perhaps longer. Students who are without their device due to repairs will be issued a loaner to use during school only. Loaner devices must be returned at the end of the school day. How much storage do the devices have? Students using Chromebooks will have 16 gigabytes (about 16,000 megabytes) of storage on the machine, plus unlimited “cloud” storage that is attached to their email and accessible via the Google Drive application. This should be more than enough space for class work each year. There are thousands of apps available for Chromebooks covering a wide variety of topics. The apps, which run in the Chrome browser, are downloadable through the Chrome Web Store. No. Student access to the web store is limited. What applications will be available on my child’s device? Different applications will appear on student devices depending on what grade the student is in or what classes they are enrolled in. For instance, a student in an agriculture class at the high school may have different applications on their home screen than a student who is not in the class. The same goes for online textbooks. Google Drive has features built into it that allow work to be “shared” between teachers and classmates. Students can create documents, spreadsheets, drawings, photos, presentations and even videos. Each item can be “shared” with a teacher prior to its due date. The teacher can then see the work on his or her own computer to review and/or grade it for the student. With the devices, it will become even easier for students to receive work from their teachers. Assignments, readings, and other resources can be placed online and shared with the student in their absence. The student can do the work online from home and share it back with the teacher. Possibly. Some teachers are looking at different applications to video/audio record specific course lessons and make them available via the web. This allows students to view recorded lessons and access related materials (handouts, presentations, etc.) online for review or for students who are out of school. Yes, if your home has a WiFi network, the devices will have the same filtered web access as they would at school. If you don’t have a WiFi network at home, students can still use them, but in a limited capacity. Some applications will work “offline” (such as Google drive) but content saved to the device will not be backed up online until it an Internet connection is available for the device. Chromebooks have very few moving parts in them and generate very little heat. Therefore the life expectancy — so long as they are treated appropriately — is fairly significant. Five years or more is not unrealistic. Additionally, the devices have powerful processors, adequate memory, and automatically update the latest software and security features without anything needing to be done by the student. Yes. The district can track information on what sites students visited, when they were on them, and how long they were on those sites. Students should only visit sites that are approved by the district and those that are not in violation of the Acceptable Use Policy. Violations of the policy can result in disciplinary action, including the student being suspended from using the school network and device use. Yes. We’ve been in contact with other districts around the state that have done one-to-one technology roll-outs for students, including using Chromebook devices. Before our Chromebook launch, we’ve sought advice on how to move forward from other one-to-one districts, learning from them what’s worked well and how to avoid certain problems. There are also online resources about one-to-one programs in K-12 schools and we are using tips and advice from those sources, as well. There is a growing number of eTextbooks available for schools to use, whether they are viewed on Chromebooks, iPads, traditional laptops or other devices. eTexts are generally cheaper than hard-cover textbooks, are updated at least annually (if not more often), are highly portable (multiple texts one device that weighs less than three pounds), and highly interactive. eTextbooks aren’t just black letters on white screen. Often times, text is searchable, citable, linked to other resources, or chapters and lessons have learning activities, videos and photo galleries built right in. They are enhanced with audio, interactivity and multimedia, and they offer tremendous learning advantages to our students. Additionally, many of our curriculum pieces — including our new reading and math curriculum for elementary students — have online and interactive components to go along with the more traditional classroom materials. There are ways within the software systems we have to check and see if work is copied between students. We are also looking at software to help prevent cheating from happening, too. We can’t say we’ll never have paper or printed projects or classwork, but it will become less used as time goes on. This can add up to significant cost savings for the district by using less ink, toner and paper. Plus it's good for the environment, too. When a student is logged into the Chromebook, parents can use them to check on student work, view their browsing history or connect with teachers through our PowerSchool parent portal or via the student’s email. The Chromebooks are not intended for personal use for the student or their parents. Yes. Students can bring their devices to use at school. Technical support that is provided by the IT Technicians (High School) on BOD devices is Wi-Fi connectivity and Google (Google Drive, Chrome, Gmail, etc.) based questions. No support will be given on hardware of Student’s BOD, accessories, or third party software not used by school. 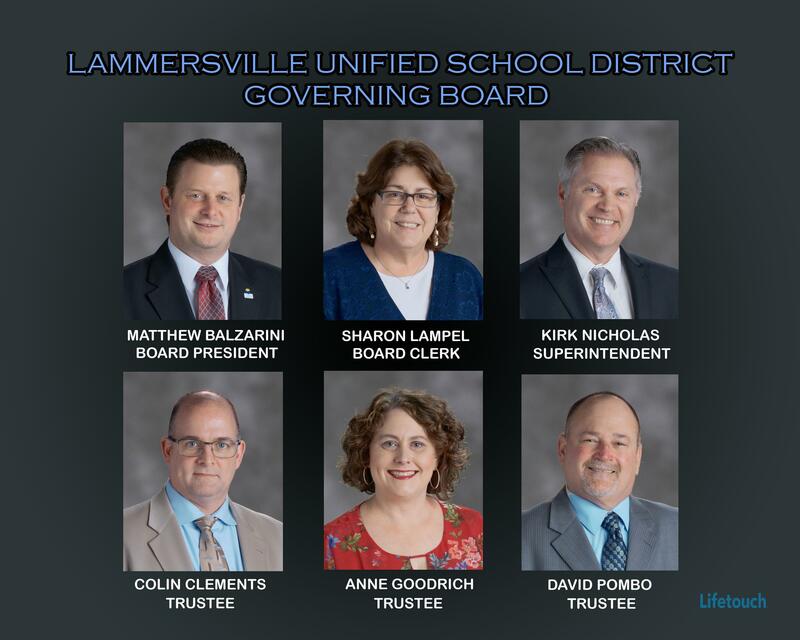 Chromebooks are an integral part of the education for all students at the Lammersville Unified School District and we want them to take advantage of the powerful learning resources available with it. Every Student will be provided with a Chromebook, if they choose to have one they will be given IT Technical support on the District provided device. Student applications, emails, bookmarks, documents, presentations and just anything done in the Chrome browser while a student is logged in is available on another Chrome browser on another device when the student logs in with his or her district email address. The content will be the same on the Chromebook as it is, say, on a PC desktop computer, so long as students are using a Chrome browser and their email login. Data can also be saved to a USB drive and transported between devices. Since the applications run through the browser and online, there is little worry about having viruses infect the Chromebook’s software or hardware. What will it cost to charge the Chromebook at home? The electricity costs should be minimal to families over the school year, and the total cost is based on usage. Below is a formula to help you develop an estimate. The device draws about 40 watts, according to the manufacturer's specifications. Then multiply the answer by the cost of electricity per kilowatt hour in Mountain House, CA (about $0.16). That is your estimate for the total annual cost. If your child uses or charges his/her Chromebook at home (they charge while being used, too) every day after school for one hour, the annual cost to parents is about $1.15 cents.